Joseph was shorecasting with a 12-foot Sabre pole, Newell 550 reel and 80-lb test Maxima line when he landed his 103-lb white ulua. But there's more! He landed 10 ulua that night. 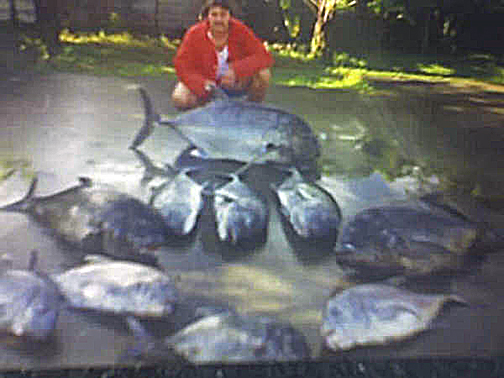 The fish in the photo weighed from 28 to 88 lbs.